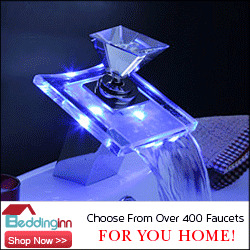 Kitchen and Residential Design: Hey! The ice cream (or gelato) in a bag thing works! Hey! The ice cream (or gelato) in a bag thing works! I just whipped up a batch of licorice gelato using the method I picked up from The Consumerist and wrote about last week. Spurred on by Kelly's rollicking success with vanilla ice cream last weekend, I adapted the recipe to make gelato in the best flavor there is --licorizia. I mixed some cream and milk and set it on simmer until it frothed slightly. Then I took and egg yolk and a tablespoon of sugar and whipped it in a bowl. Once whipped, I poured the warmed milk and cream into the bowl and whisked everything it until it combined. Then it was back into the saucepan over medium heat. I stirred it as it heated up and started to gel. Once sufficiently gelled, I removed it from the heat and popped it into the fridge for a couple of hours to chill. Once chilled, I poured my now gelled egg, sugar, cream and milk combo into a quart sized zip lock bag. I added two teaspoons of licorice extract I brought back from Rome. Then I filled a gallon sized zip lock half way with ice and then added six tablespoons of rock salt to the ice. I set the smaller bag inside of the larger bag, zipped it up then commenced to shaking for the required five minutes. I didn't believe it would work. However, after five minutes I stopped shaking and removed the smaller bag. I couldn't help but notice that it was noticeably larger than it was when the whole shaking thing started. I rinsed off the top of the bag and squeezed my plastic bag gelato into a bowl and tucked in. The lights grew dim and I could hear the sound of a distant, lone mandolin. The taste of that gelato transported me to the Piazza Della Rotonda. 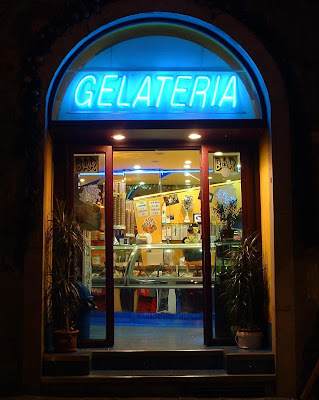 I could hear the water spashing in the fountain and before me blazed the blue neon sign of the best gelateria in Rome. Ahhhh. Then I opened my eyes and cleaned up the mess left behind from making gelato in a plastic bag. Wow! I thought that I was prone to writing in such flowery language! Talk about a lovely turn of phrase! I was right there, descending the Spanish Steps fantasizing that I was Vivien Leigh in A Roman Spring For Mrs. Stone. The multitudes of pigeons flew away as I approached like so many shattered dreams....Hey, Scungeel! I needa the stapoli! You have to try that plastic bag ice cream trick. Seriously though, I was transported. Transported! Well if that's true Brenda, I don't mind having my mind altered. Gelato is life! Ooooh I can't wait to try that recipe! I think your kids would get a kick out of it.